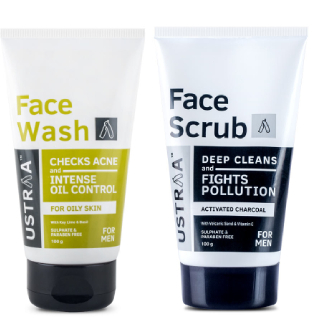 Shop for Activated Charcoal Face Scrub & Face Wash for Oily Skin worth Rs.649 at Rs.578 at Ustraa. No coupon code required to get this offer. The Activated charcoal binds to your skin and helps pull the dirt out of your pores making you free of toxins, pollution and dirt so buy now.